Eye gels can be used to cool and refresh around the delicate area of the eye. Rich in Aloe Vera which is known for anti-inflammatory healing properties.Jojoba oil for nutrient rich moisturising and skin softening properties. Arnica for a cool and calming effect the gel smooths the skin whilst targeting dark circles and puffiness. 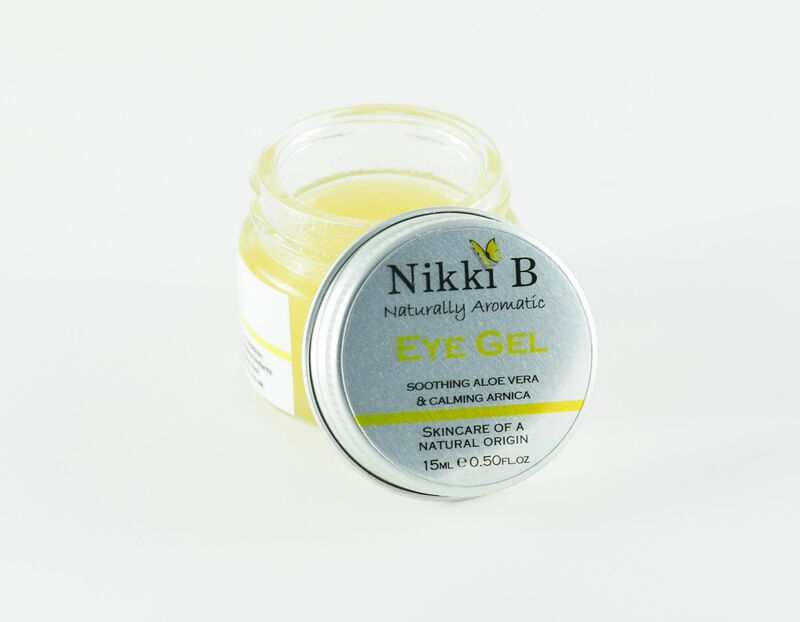 The eye gel cools, hydrates and soothes using naturally derived plant ingredients. This gel can be used day or night to hydrate the skin for a feeling of instant refreshment. Key Ingredients: Jojoba Oil, Aloe Vera, Arnica Extract. Ingredients: Aqua (water), Simmondsia chinensis (jojoba) seed oil, Aloe barbadensis (aloe vera) leaf juice, Helianthus annus (sunflower) seed oil, Xanthan gum, Arnica montana (arnica) flower extract, Phenoxyethanol, elthylhexlglycerin, Potassium sorbate & sodium benzoate. "This eye gel refreshes and tightens skin around my eyes. Only need a small amount so the pot lasts for ages. A definite must have!" "This is the best eye product I've used. It is both cooling and firming. I use it every morning, it works well with my make up too. In the summer or after a heavy night I pop it in the fridge for an extra pick me up....wonderful!" "Lovely cooling product to use around the eyes, carry it around with me and if feeling a little heavy eyed I apply and feel instantly refreshed"